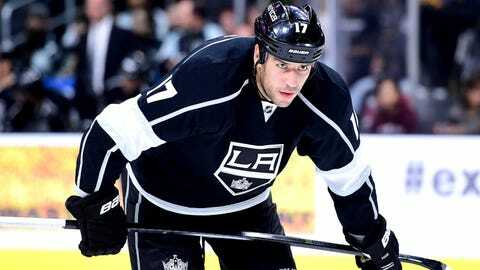 With the addition of Milan Lucic, The Los Angeles Kings' brutal forward unit gets even stronger. Plus: The Kings have a lot of depth among their forwards. Justin Williams and Jarret Stoll are gone, but they are replaced by the brutal power forward Milan Lucic and a full season of Nick Shore. The Kings were a dominant possession team last year, leading the league in shot attempt differential. The Kings also possess one of the best, if not the best, top-pairing defensemen in the league in Drew Doughty and Jake Muzzin, and a goalie that has proven he has what it takes to win a championship in Jonathan Quick. Minus: Last year, the Kings were terrible on the road. Their 15 road wins were the third-worst in the Western Conference. They had just two more road wins than the Arizona Coyotes. There’s no clear fix to that problem, but with a team that looks identical to last year’s team (the only primary difference is the addition of Lucic for Williams, Christian Ehrhoff replaces Slava Voynov and Jhonas Enroth replaces Martin Jones), can we expect another overall poor road performance this season? Few believed the Kings would be able to add a player of Lucic’s caliber this offseason. The 6-foot-3, 235 pound forward finished with just 18 goals last year with the underperforming Bruins, his lowest total since the 2009-10 season (excluding the lockout-shortened season). With a change of scenery and an expected partnership with Anze Kopitar and Marian Gaborik on the top line, Lucic could quite easily play several different roles. He can clear space and let Kopitar and Gaborik work their magic, or he can get the dirty goals in front of the net. Expect a big year out of Lucic. Prediction: Last year was a fluke. The Kings will be right back in not only the playoff hunt, but the Stanley Cup hunt. Three Cups in six years would officially make the Kings a modern day dynasty. The majority of the roster already has their name on the Cup, and all are hungry to do it once again.